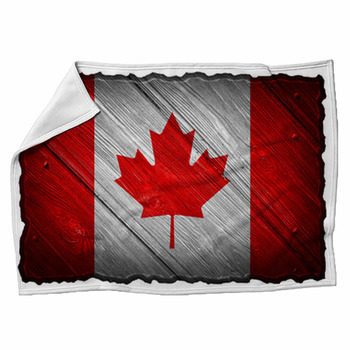 If you live in Canada or have visited, then you know what a great country it is, and will want to show your enthusiasm with our fleece Canadian flag blankets. 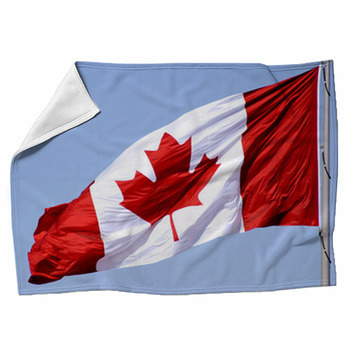 But that doesn't mean you have to choose the standard flag, we have many interpretations of the Canadian flag that you can choose for your custom blankets. 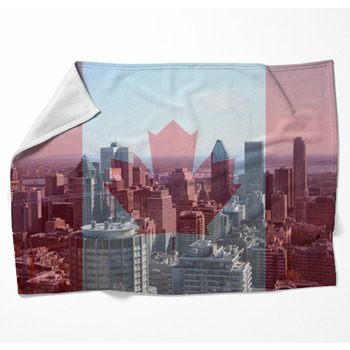 We have the word Canada in all caps with the flag embedded in the letters and set on a black background, the flag formed into the shape of a bare footprint, the famous red maple leaf in the middle of the flag replaced with the photographic image of a brown maple leaf, the flag superimposed on the gorgeous Montreal skyline, many variations of the flag in the shape of the map of Canada, and those are just a few of the Canada flag blanket designs you can choose from. 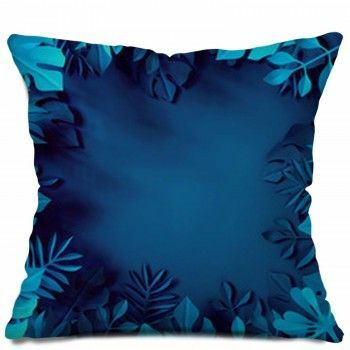 Stretching from Nova Scotia to the Yukon, Canada is one of the largest countries in the world, yet with a small population, there is plenty of wilderness, as well as small town life filled with friendly people. 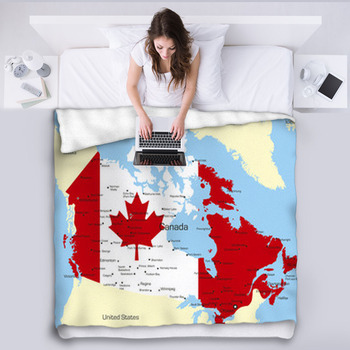 Celebrate Canadas history of peace by decorating your living room with a blanket displaying the word love with the o made in a heart shape and the Canadian flag inside of the heart with a vintage design for the throw pillows. 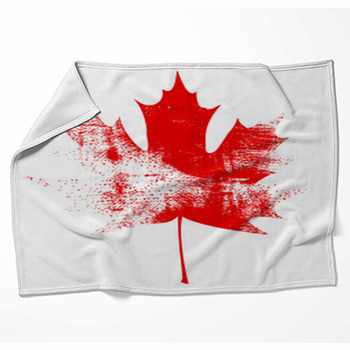 For a romantic blanket, you'll adore our artistic depiction of the Canadian flag with two elk nuzzling noses. 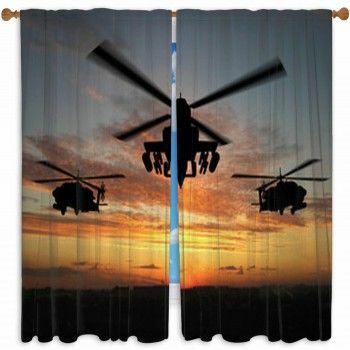 Or do you prefer a tight fist raised in front of a close-up of the flag? 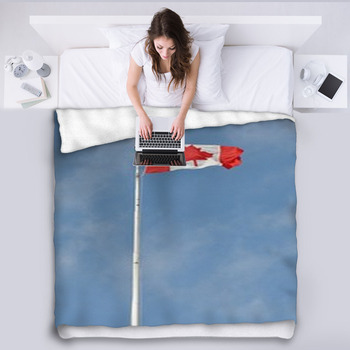 Show your passion for Canadas favorite sport by choosing a blanket featuring the Canadian flag with the silhouettes of three hockey players skating across it. 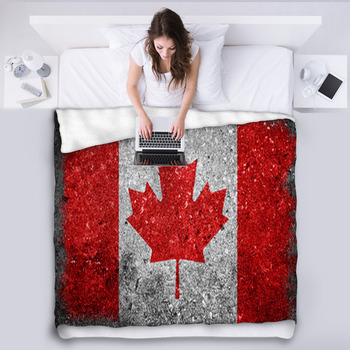 Though Canadians are famous for being humble people, Canada is a great country with much to be proud of, so show your pride with a Canadian flag blanket.